Our excitement knows no bounds to announce the new enhancements that fulfils our motto of building solutions that change the way people work and live. We have found your new admiration for customization, wonder what it is? The product price field which lets you keep a record of the price of your products. Now you can easily manage not only your products but also quotations and invoices. We’ll soon see how! One more settings option on your plate. With real ease, we have added the Quotation Setting to the general settings under the Quotes and Invoices tab. With this option choose what type of Quotation you want for your business. This will not only help you with quotation management but will also let you create multiple quotations on your convenience. Manage your quotations now by the quotation type option. Are there too many products at your end contained in a single quotation? The multiple quotations option will let you create more than one quotations. Whereas single quotations will come in handy when you have limited products to manage. 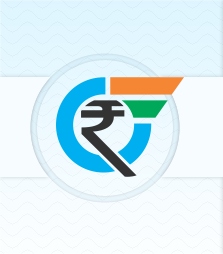 Product price is possibly the most convenient field to be maintained in your business. So be it a lead or a quotation or an invoice, it needs to be there. Well, for your business’s security this field is updated simultaneously at multiple places. 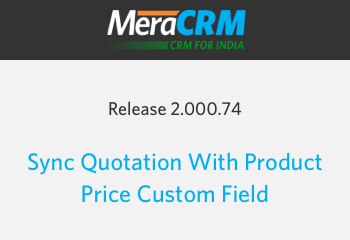 This is where perhaps the function “Sync quotation with product price” of MeraCRM comes into picture. Read More. We already saw what a product price field is and what good it’ll do to your business. Creation of this field is just like any other normal custom field but as a cherry on top, MeraCRM provides you with an option “Sync with Quotation”. Now why sync this field with quotations? This will let you maintain a history of your quotations without tampering the previous ones. Here’s what you can do! Link the product price custom field with your quotations and check Make new revisions. This will let you make changes in the quotations, save it as a new one and lock the previous one as a backup reference for you. If not, go for the update existing option. Read more.. Product price field custom field added, quotation settings configured, now what? Once you get a particular quotation and make a new revision, it saves multiple quotation copies without meddling with the previous ones. Also, it lets you maintain the product price and lead worth simultaneously. Read more. PCLS - Person, Client, Lead, Support. Changes in generating Quick Report from Lead and Widget view. Changes in Person module and Adding filter criteria settings in user role permission. We aspire to get better with time and be able to provide our customers with the best CRM experience, right here at MeraCRM. Don’t forget to catch more information about this soon in next release!